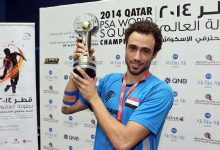 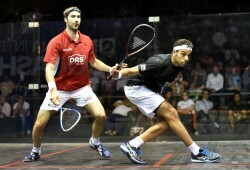 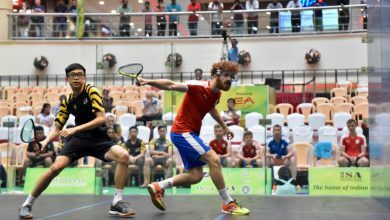 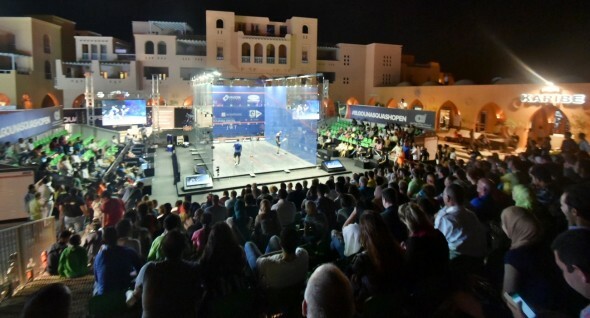 Colombian Miguel Angel Rodriguez produced a performance of note and intent as he defeated hard-hitting Egyptian Omar Mosaad, the World No.4, on home soil during the quarter-finals of the El Gouna International to reach the semi-finals of the PSA World Series tournament, taking pace against the backdrop of the Red Sea, for the first time in his career. 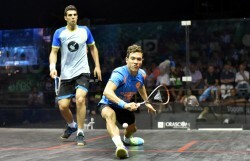 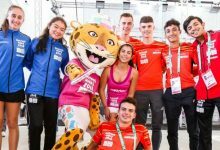 Three days of scorching heat and humidity were substituted by blistering winds on the fourth day of competition and it was Rodriguez who took advantage, slowing the pace of the match and extending rallies with frequent use of height to exploit the blustery conditions on court, and come through a bruising 80 minute battle 3-1. 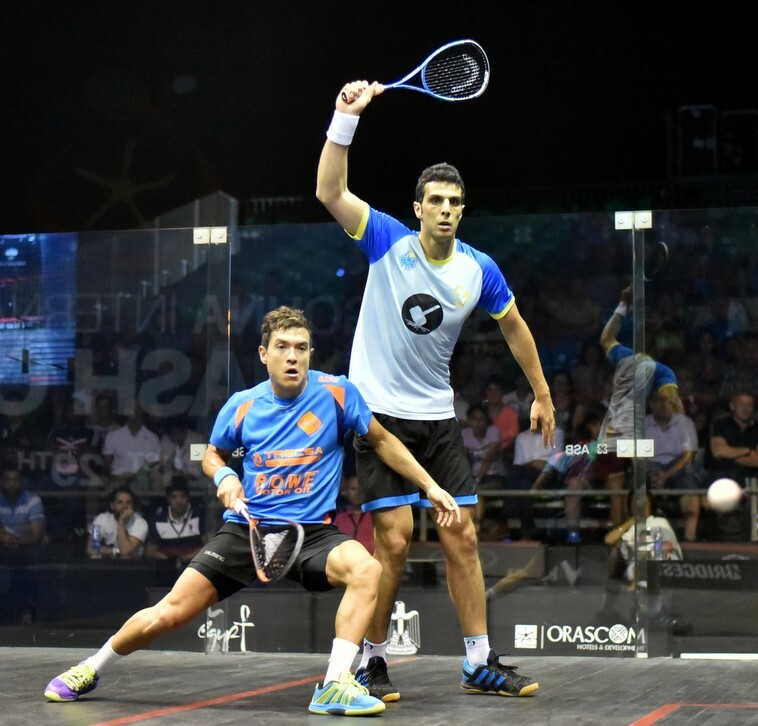 The victory, which saw the tenacious World No.6 fightback from one-game down, sees Rodriguez through to the last four of a World Series tournament for the first time since February’s Windy City Open, where World No.1 Mohamed Elshorbagy awaits. 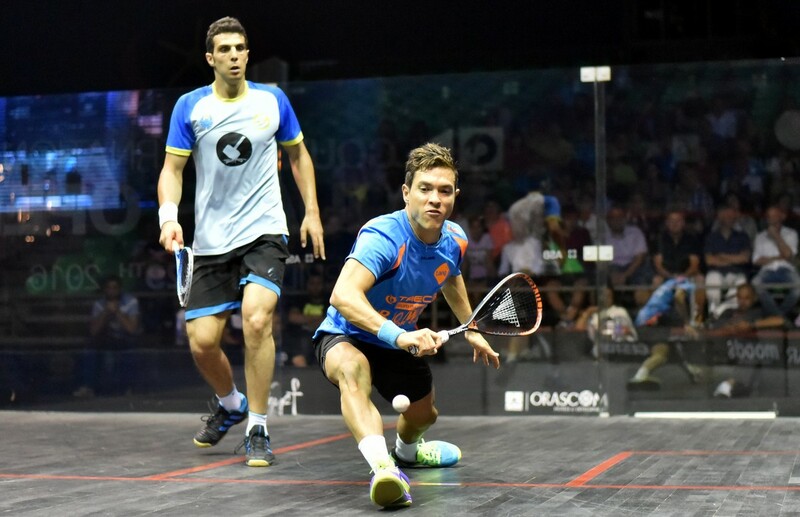 “I think the biggest opponent today was the wind – I was trying to get used to it but it was hard to control it,” said Rodriguez. “I think I adapted to it well and hit the zone and hit the corners and dealt with it better today. 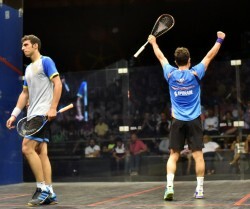 He wanted to win too quickly and I was playing with more patience. I think I had a great performance and I’m very happy to win and make the semi-finals here in Egypt. 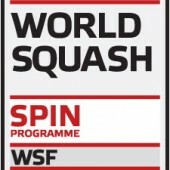 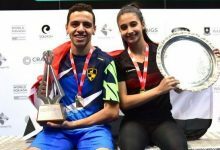 Rodriguez will line up against tournament favourite Elshorbagy after the World No.1 saw off Simon Rösner, his toughest test so far, in a 46 minute 3-1 victory while Marwan ElShorbagy, the World No.12 and recent Grasshopper Cup champion, suffered a surprise defeat to fellow Egyptian Fares Dessouki. 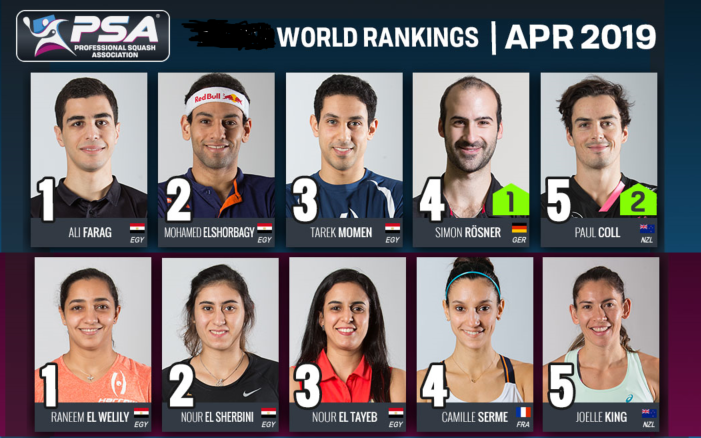 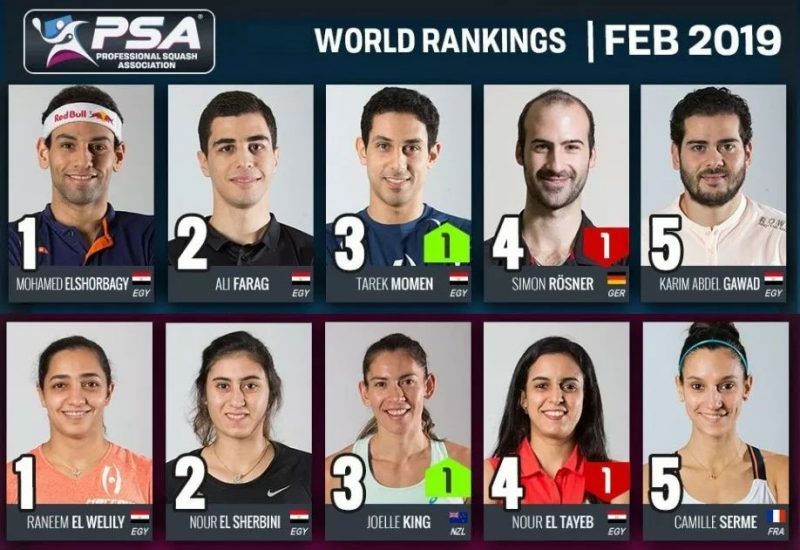 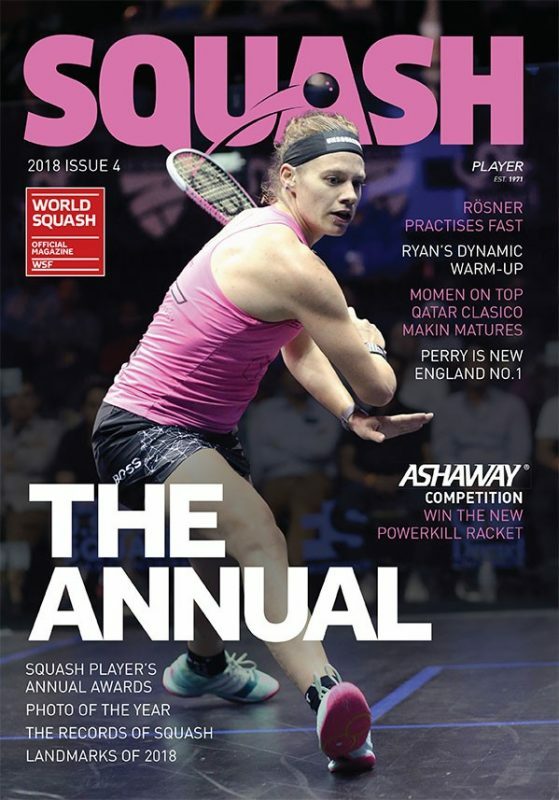 Prior to the tournament 21-year-old Dessouki hadn’t won back-to-back matches on the PSA Word Tour during 2016 but he followed up impressive wins over Daryl Selby and Karim Abdel Gawad with a gritty come form behind win over ElShorbagy. 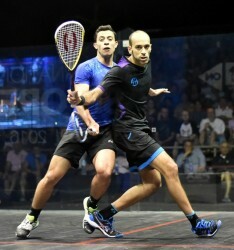 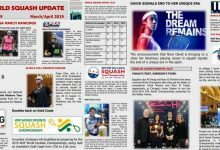 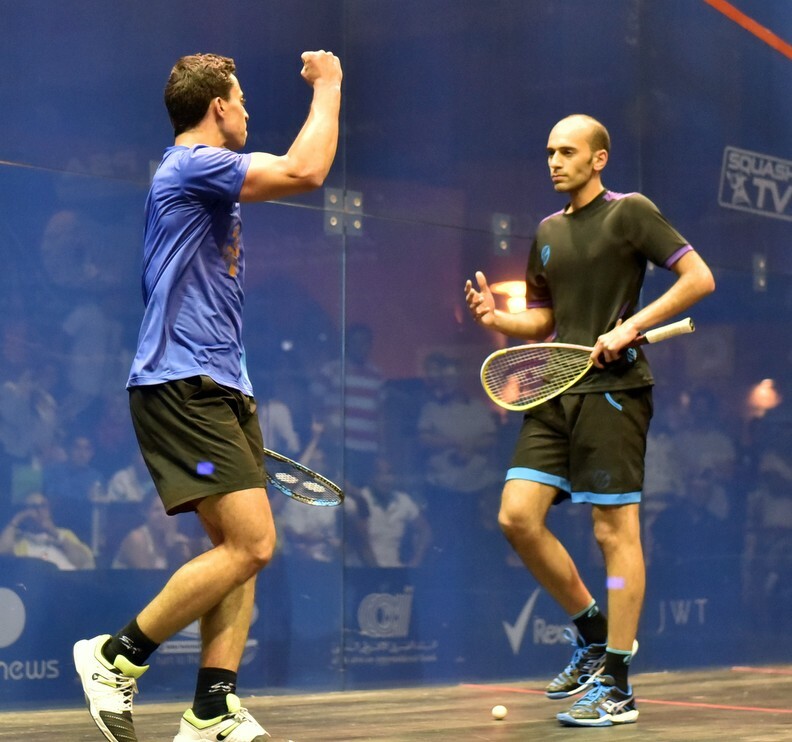 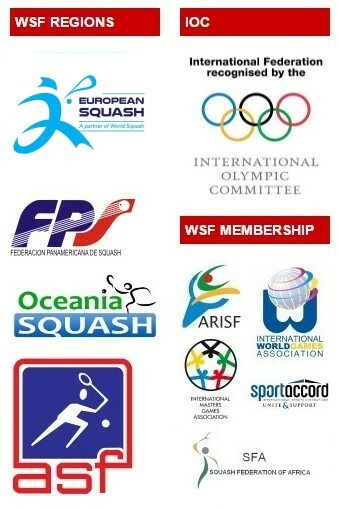 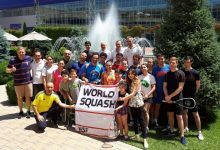 Dessouki trailed 2-0 and faced multiple match balls in both the fourth and fifth games as he fought tooth and nail and was rewarded when he clinched the decisive fifth 12-10 to reach the last four of a World Series tournament for the first time ever in his career. 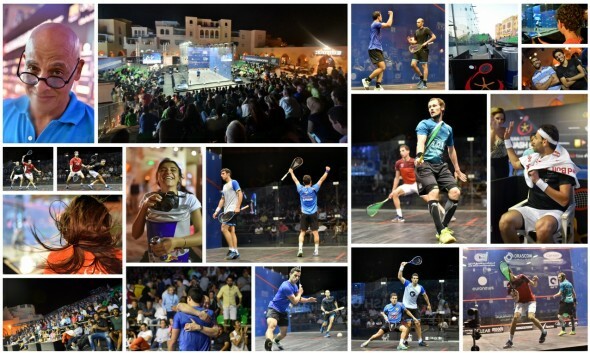 “I am so happy I came back from 2-0 down to win that match,” said Dessouki. 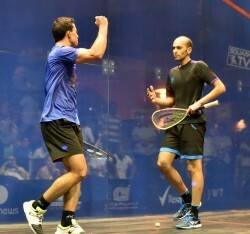 “It was a very tough match mentally and physically. Marwan had a massive tournament last week – beating Gregory in an amazing final in Zurich – so I knew it would be a very tough match. Dessouki will face World Champion Gregory Gaultier for a place in the final after the Frenchman got past Ali Farag in a rapid fire five-game encounter that saw him prevail 4-11, 11-6, 6-11, 11-4, 11-4 after just 50 minutes.